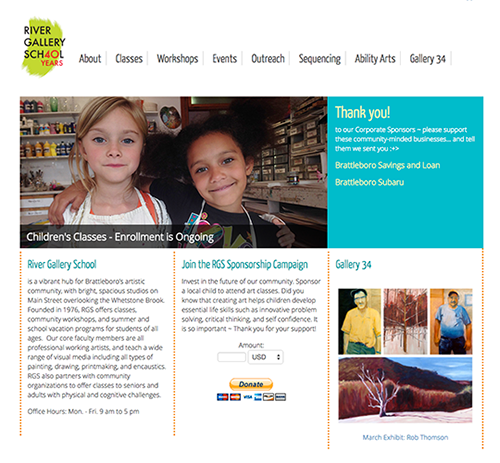 A community art school, the River Gallery School needed a site that communicated the feel of the school, and also be maintained by school staff. RGS also wanted to take online registrations and a little ecommerce. Built in Joomla.